17/10/2018 -The Ghent based company ‘Ontoforce’ has won the 'Award of the Flemish Government for the Scale-up of the Year' 2018. Philippe Muyters, Flemish Minister for Work, Economy, Innovation and Sport, presented the award to Hans Constandt, founder & CEO of Ontoforce. Ontoforce wins the 13th edition of this prize and is the successor to PlayPass. Ontoforce is conquering the world with its innovative technology that makes complex data ultra-fast and very easy to use for everyone. Ontoforce collaborates with internationally renowned institutes, won numerous international awards and is now also drilling new markets. The company realized a turnover of 1.2 million euros in 2017 with 27 employees. 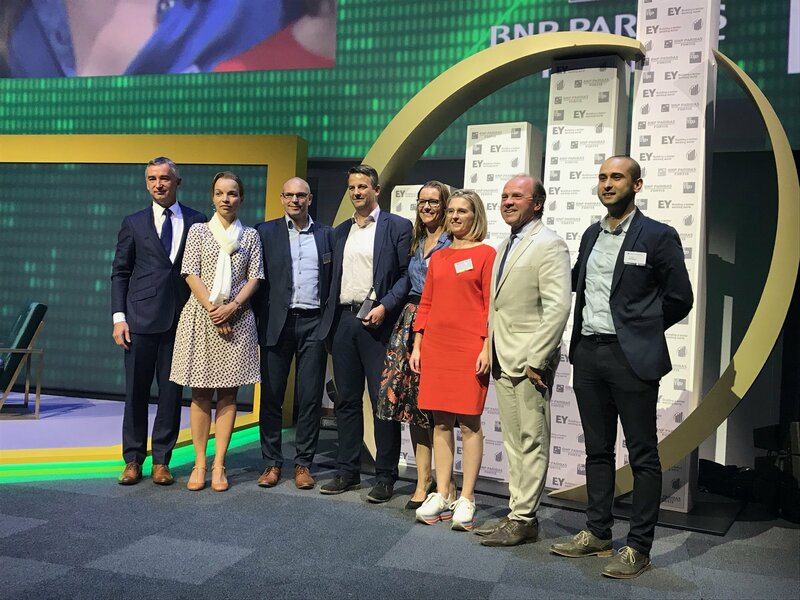 With the award, which was known as 'Promising Enterprise of the Year' last year, the Government of Flanders wants to reward fast-growing companies in full development phase for their efforts and motivate them to continue on the same momentum. The other nominees were Lemon Companies, Rombit and UgenTec. Ontoforce is based in the AA Tower on Tech Lane Ghent Science Park, Campus A.